The Scott Arboretum has many significant tree specimens including a pin oak, planted in 1915 by President Taft, and five state champion trees. However, my favorite is a Ginkgo biloba located in the Tree Peony Collection below Sproul Observatory. Although this particular specimen is neither a state champion nor planted by anyone special, it is a gorgeous example of a ginko. Native to Asia, the Gingko biloba is certainly unique. It features fan-shaped leaves with radiating venation. 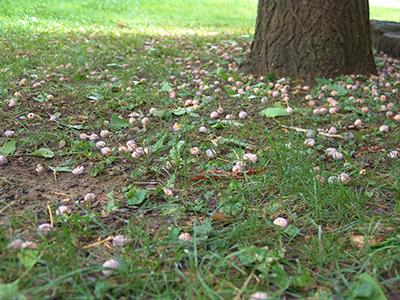 Female trees produce round ovules and male trees grow pollen cones. They are large trees, growing from 30-40 feet tall during a long life span. Some specimens are estimated to be 2,500 years old because of their aerial roots and disease resistance. 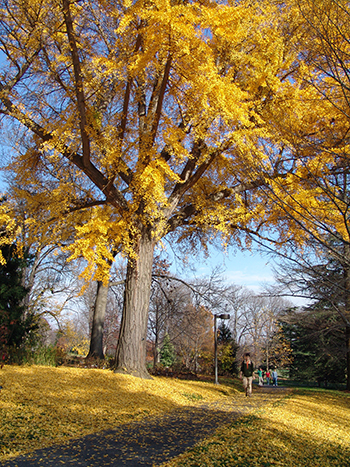 Gingko foliage turns a vibrant saffron-yellow in the fall. The nuts are said to be delicious when roasted. All this, however, is not what makes the ginkgo special. What makes it so remarkable is that, out of all the species in its order and its over 250 million year history, the Ginkgo biloba is the lone survivor. The Ginkgoales order has existed since the Cretaceous period, when the earth was still one supercontinent known as Pangea, but became prolific during the Triassic, and stopped morphologically changing in the Mesozoic, approximately 66 million years ago. At its height, it included five families, all of which had the same radiating venation as the G. biloba, and are thought to further descend from tree ferns. 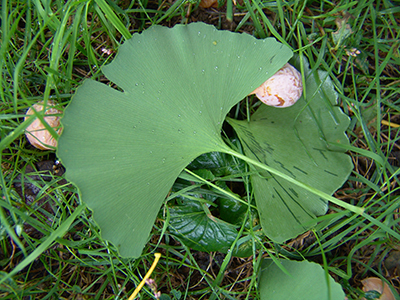 By the end of the Pleistocene, all species but the Ginkgo biloba disappeared from the fossil record, and are presumed extinct. 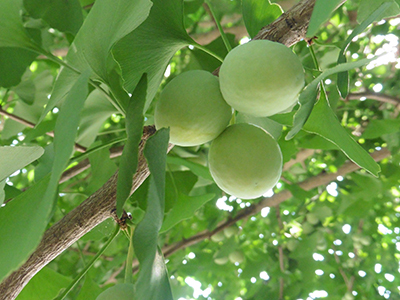 It is thought that the ginkgo’s cultivated history is much more recent however, with a Yale scholar estimating that it began being cultivated by monks in China as a nut crop around 1,000 years ago. Indeed, this gardening by men of the cloth is to what many attribute the survival of this “living fossil” to. Even in the greatest times of strife and destruction, religious sites generally survive, making monasteries, cemeteries, and churches some of the best places to find ancient plant species. In the West, they were first mentioned by a worker for the Dutch East India Company in 1692, but were not introduced until about the 1750s. Today, the ginkgo is found mainly lining city streets; its resilience makes it especially suited for the task. 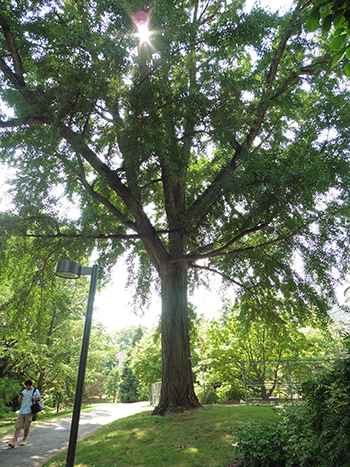 Even planted in tiny spots, barraged with street salts and countless other pollutants, the ginkgo manages to thrive, adding shade and enjoyment to harsh city streets. Even though it is rare in the wild, cultivation of the gingko keeps it surviving as a species, and hopefully, it will be around for thousands more years. I did not know that they produced nuts, wow, after gardening for over 30 years I am still learning. Thanks for your informative articles.